Dr. Hein was one of five members appointed by Vermont Governor Shumlin in 2011 to The Green Mountain Care Board (GMCB) to implement the state’s visionary, comprehensive health care reform law (2011-2014). 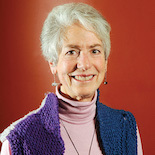 She currently serves as Co-Chair of Vermont’s Population Health Work Group, part of the VHCIP federal SIM grant. Dr. Hein was president of the William T. Grant Foundation and is currently adjunct professor, Dept. of Family & Community Medicine at Dartmouth Medical School. She served on the U.S. Senate Finance Committee professional staff in the 1990’s, and as executive officer of the Institute of Medicine 1994–98. Dr. Hein worked for a decade to promote global peace mostly in Asia and Africa. She currently serves on the RAND Health Advisory Board, The International Rescue Committee Overseers and RWJF Clinical Scholars National Advisory Committee. Her book, AIDS: Trading Fears for Facts, has sold over 100,000 copies. Dr. Hein graduated from the University of Wisconsin, attended Dartmouth Medical School, and received her medical degree from Columbia University, College of Physicians and Surgeons.